Valentine’s Day may seem like the perfect date for a romantic wedding, but research has shown that it may not be the best option for a happy marriage. 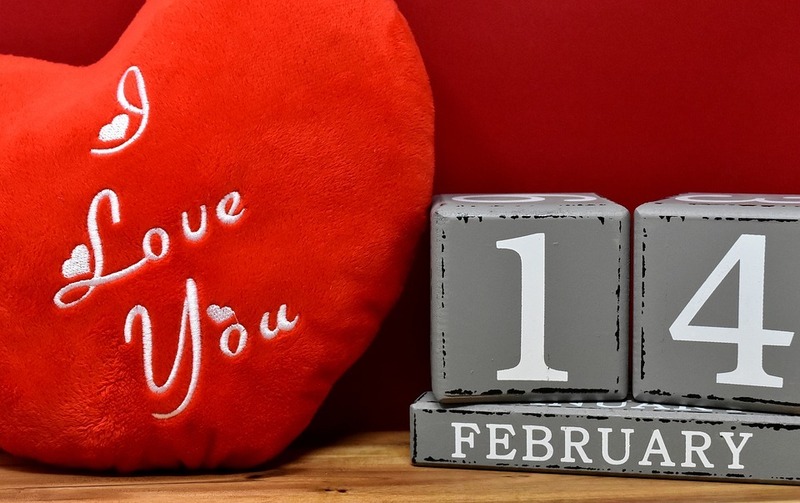 With its connotations of love and romance, Valentine’s Day may seem like the perfect date to get hitched – and for this reason a significant number of couples choose 14 February to formalise their relationship. However, while it’s easy to see the appeal, there are a number of reasons why a Valentine’s wedding may not be quite as romantic as you think. Can the date of your wedding predict the success of your marriage? Well, yes actually – at least according to researchers from Melbourne Institute of Applied Economic and Social Research – and it’s not good news for Valentine’s fans. Looking at over 1 million weddings conducted in the Netherlands between 1999 and 2013, the research discovered that couples who got married on 14 February (or on ‘gimmicky’ dates such as 01/02/03) were up to 36% more likely to get divorced. We hate to be the ones to say it, but, if you’re not careful a Valentine’s wedding can be somewhat of a cliché. You’ll be sharing your anniversary with millions of other couples who also decided that 14 February was the perfect day to say ‘I do’, not to mention spending your anniversary meals surrounded by loved-up diners celebrating Valentine’s Day. If you’re looking for a special date for your wedding, why not choose a date that is personal to you and your significant other, such as the anniversary of your first date, or the day you got engaged. Of course, living in Britain means that the weather isn’t guaranteed whenever you get married. However, barring the odd spring-like day, early February tends to be wet and cold. This may be fine for your wedding day, as long as you choose a suitable venue, but it could limit your options for future anniversary celebrations. It may not be top of your list of concerns, but, whether they have romantic plans with their significant other, or are ardent V-Day haters, your guests may not appreciate being invited to a wedding on Valentine’s Day. And, given the popularity of the date, you could also find the shoe on the other foot in the future, being asked to spend your anniversary celebrating somebody else’s big day. Of course, all this has to be taken with a pinch of salt; the success of your marriage hinges on a lot more than the date you choose to wed, and if your heart is set on a Valentine’s wedding then throw caution to the wind and go for it. Rest assured, whatever day you do decide to get married, you can be sure that our Essex wedding venue will do all it can to make your special day absolutely perfect, giving you the ideal start for a happy future together.